Last month, I wrote about How to Run the Indoor 300 or 400 meters. 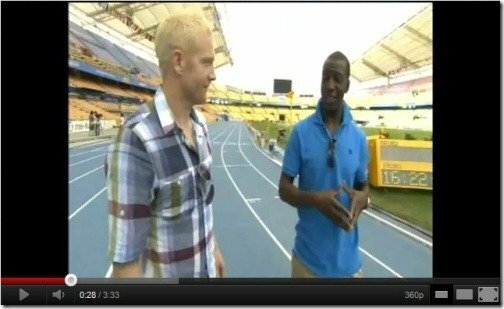 BBC Channel 4 had a good video clip with UK’s Iwan Thomas and Michael Johnson on How to Race the outdoor 400 meters shown during the 2011 World Championships in Daegu. Ironically, back in 1998, Iwan Thomas and Mark Richardson handed Michael Johnson a rare 400 meter loss in Oslo. “pray” the last 100m homestretch! Click here for the video on Vimeo, or use the player below. 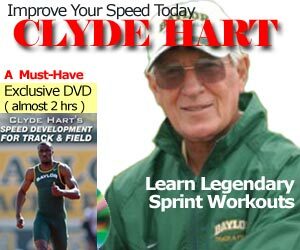 Nothing better than starting your day with a half a cup of coffee and a quick 400m video w/ Thomas & Johnson. Your array of articles are hands down the best on any site I’ve ever been to which is why visiting is part of my daily routine, thank you. I might be alittle late but happy new year & I wish you and the site continued success. I’m from Vietnam. I’m an track & field young coach. My event’s 400m. I’m coaching some athletes, that 17 years old. They run: 100m 11.3s; 200m 22.5s; 300m 35.00s, but they only can run 400m in 50.5s – 51.00s. How can they run 400m in 48.00? please advise for me. Thank you very much!